Finding Shiba Inu merchandise outside of Asia can be a bit tricky. Most of us have to settle on searching for Shiba Inu products online. However, if you are lucky to find yourself traveling to Tokyo, especially in 2018—the year of the dog—you are going to be in heaven. Many stores have Shiba Inu themed pillows, knickknacks, stationary, stuffed animals, and even clothes designed for your Shibe in stock. Naturally, you are going to find yourself doing a lot of walking in Tokyo – through stations, around touristy spots, and much more. Tokyo is just one gigantic, week-long shopping spree, when you think about it. 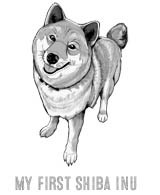 Not to mention, you will be surprised where you find Shiba Inu merchandise when you keep your eyes open and know what to look for. 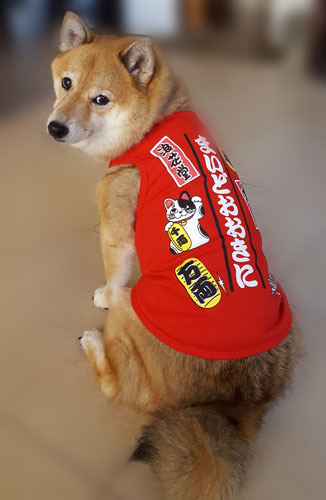 Recommended stores in Tokyo for Shiba Inu goods: Ikebukuro, Akihabara, Shibuya, and Shinjuku. Though "Donki" can be hit or miss, you can often find some cute Shiba Inu stuff throughout the floors of the mega locations. For example, on the household goods floor (wherever that might be), you will find Shiba Inu towels, wallets, pillows, and other things often gathered together. Sometimes you can find Shiba Inu luggage tags, stationary, and simple goods around that souvenirs that are usually on the first floor. 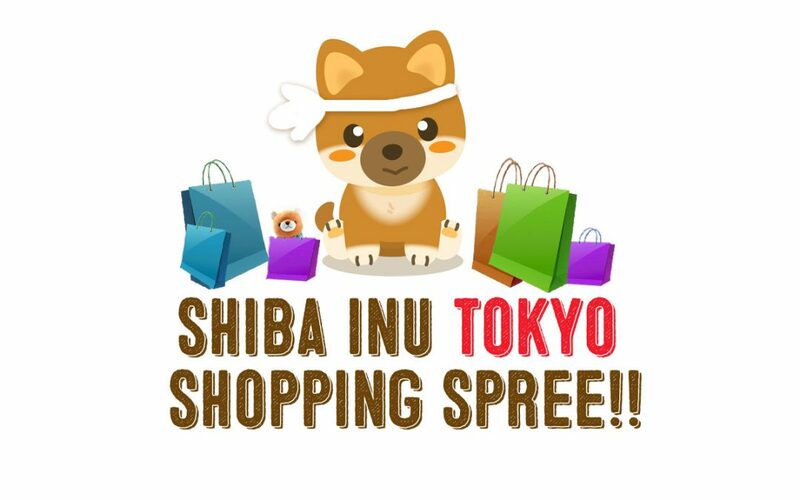 Recommended stores in Tokyo for Shiba Inu goods: Ikebukuro, Shibuya, Shinjuku, and Ginza. Loft is by no means cheap, but if you are looking for some quirky or cute Shiba Inu merchandise, then you should look here. The stationary floor is highly recommended for Shiba Inu stickers, postcards, notebooks, writing utensils, folders, and more. ​On the household goods floor, you can sometimes find Shiba Inu blankets, knickknacks, bathing goods, and socks (depending on the season). Of course, pet supplies for your Shiba Inu are also available. Locations: Omotesando/Harajuku and recently opened within Sunshine City, Ikebukuro. Though Kiddy Land is much more than Shiba Inu merch— think every type of toy available— you can sometimes find some cool Shiba Inu related items. It is always worth a look! The one Omotesando is always a treat, especially if you are looking for souvenirs for a number of people. 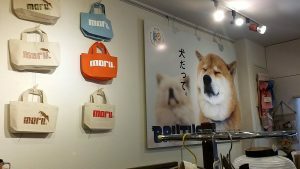 You might be thinking that the major department buildings will be loaded with stores that have Shiba Inu merchandise, but that is actually not true. When looking for knickknacks, it's best to skip places like Isetan, Marui, and Seibu department buildings for smaller malls, like JR Station Atre/Entre (highly recommend the Ebisu one), Ikebukuro Echika and Esola, Lumine, and similar collections of stores. These places usually have chains like It's Demo, Plaza, Blue Bleuet, and similar stores with a wide variety of goods catering to all tastes. You are bound to find unique Shiba Inu items. In Japan, there are a number of chain stores that have low prices on their goods without neglecting quality. Many people who go to Tokyo become acquainted with these four: Daiso, Can*Do, Seria, and 3 Coins. These stores have merchandise that ranges anywhere from 100-500 yen (not counting the 8% consumption tax). Shiba Inu themed merchandise is always available in these places, including stationary, plushies, figurines, textiles, crafts, and much more. It's the perfect place to get your hands on some Shiba Inu stuff without spending a huge amount of money! Wankodo, which recently reopened after a short renovation, is actually in Kyoto, a far jump from Tokyo (unless you plan on taking a trip out that way). However, they do deliver through Rakuten; and most hotels will accept deliveries in your name, so if you can't find something in Tokyo that suits your tastes, check out what Wankodo has to offer. A number of smaller independent stores do purchase Wankodo merchandise to buy, so keep your eyes open when wandering around Harajuku, Omotesando, Shibuya, Shinjuku, and Ikebukuro. There is no doubt that many of the goods are something that you won’t find anywhere else. Since heading to Ueno Park in Tokyo is always on the must-see lists of travelers, do not pass up the opportunity to check out the National Museum of Nature and Science. Aside from the museum being really interesting, the museum shop has some Shiba Inu themed items at decent prices. The memorabilia is affiliated with Hachiko, as well as other original stationary designs that you can’t get your hands on anywhere else. Japan loves the story of Hachiko -- so much that even the Tokyo University campus where Hachiko’s owner worked in Bunkyo-ku has erected both a statue of the duo but also a cafe honoring that love of dog and master. If you want both something tasty to snack on, a chance to gush over friendly dogs, as well as some unique Shiba Inu items, then head on over to Hachiko & Dr. Ueno Cafe. Since most of the goods are made special for the store, you might find something completely different than what is on the menu, so keep checking the blog for some pictures. Everything is written in Japanese, but there are many pictures to peruse too. Address: Since this is a pop-up store that appears in Shibuya at random, you need to check the news feed (ニュース/イベント) on the website to find out where you can locate these items. Everyone who loves Shiba Inu will certainly know the story of Hachiko, who waited faithfully for his owner to return from work every single day--even after than man passed away. The Tokyu department store in Shibuya has a special relationship with Hachiko, especially since the doors to main building open right up to Hachiko square. Because of this, the brand often hosts Hachiko-themed events or seasonal items. The Toyoko Hachiko Shoppe is unique because the items are designed speciality for the Tokyu department store. That said, because the souvenir shop is actually a pop-up, as mentioned earlier, you need to know where to find it before heading to Shibuya. Though you might find a bunch of Shiba Inu items in Tokyo and other places throughout Japan (like Osaka, Kyoto, and Fukuoka), you might only have a limited amount of space in your luggage. And with overweight fees skyrocketing, you don't want to risk overloading your carry-on and check-in luggage. This means that goods from NARUMI (Shiba Inu household goods), Amuse Inc. (toys and cute stuff), and MIND WAVE (Shibanban Washi and other stationary) can be found. So check out the merchandise at the stores like Loft or at department stores, make a note of what you want, then have it delivered right to your door. No over-stuffing your luggage necessary! Are you ready for a Shiba Inu shopping spree in Tokyo? With a metropolitan area as large as Tokyo, you can spend a week scouring the city for goods and still miss unlisted stores chock full of Shiba Inu merchandise. Keep your eyes open, enjoy the sights and sounds, and have fun. Enjoy your 2018 - the year of the Shiba Inu!